Go check out what my friend Kasey is up to here. I think it's so important to think of others, and there is no better time to do it than this time of year. Think of all the people that won't have presents under their tree. Or have a tree at all. You don't have to do anything big. Sometimes it's just a simple smile or wave that can make someones day. I'm trying to teach my kids to give to those less fortunate. We have a family in our neighborhood who has 4 children and not a lot of money. I give their little boys rides home from the bus everyday after school and last week I was asking them about what they want for Christmas. They didn't tell me what they want. Instead they told me that for Christmas they will all get a new pair of shoes and a hat. So this year, the kids and I went shopping for them and got them both 3 new warm outfits. We don't have a ton of money ourselves but it felt good to give a little something to someone less fortunate. 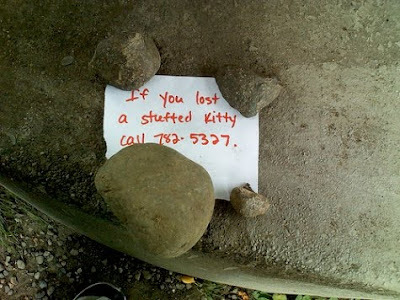 I'd love to hear any random acts of kindness you have done, or received. Merry Christmas to you family! Gifts of the heart... With the true meaning of Christmas... Blessings to al of you and ma your hearts over flow with the spirit of giving this year and many to follow. You have found the true meaning of this holiday season! Melaine, this is such a beautiful post. I help out twice a week by donating my time. For over a year now, I help take care of homeless, abandoned cats that are all available for adoption (or forever homes as some people refer to them). We have a very good adoption rate, and the cats are cared for of until they find homes, however long that may take. A few years ago I sold an old car of mine for $900. It was around Christmas, so I was thinking, "Boy it sure will be nice to be able to buy Christmas 'straight out'." However, the Lord knew he had other plans for the money. We have a member of our church who works for our local DFCS office and told us of a last minute family that was in desperate need of what we would consider basic needs. The father was hoping that he could find work and not have to submit his family for help from DFCS. I knew exactly what I wanted to do with the money. I got the list of family members and did some serious shopping: toys, clothes, coats, hats, mittens, underwear, food, etc. I spent all of the money plus a bit more, but I did not care. I told my husband not to get me anything for Christmas since I went over the money allotted. Now, I did not get to see the kids get there Christmas, but my friend from church delivered the "goods" to the family and she said that one would have thought they won the lottery. I feel that we take for granted so many times what we do have and forget that some are lacking in the basic essentials. It felt so good to know that these children would not go without on Christmas (toys, food or clothing). It is my wish that no child would ever have to go without, but I know that it does happen. So, I pray every year that God would put an opportunity in someone's lap to do the same so families like that can be blessed on Christmas. I don't know who was blessed more that Christmas...me or them. Thank you for providing an opportunity to remember those who have to do without and that we pray for them. I love this! That is the best part of this season. So very thoughtful. A gift truly from the heart. This year my family has been wrapping gifts at the mall to help raise funds for the Taylor Family Foundation, an organization in Northern California that has camps for children with life-threatening and chronic illnesses. Wishing you and yours all the best this holiday season! Thank you for the reminders....wouldn't Christmas be grand if all of us that had just gave to those who didn't? Melaine, I have never left a comment before but I've been reading your blog for awhile. Anyways, I found out from the school social worker (I'm a 4th grade teacher) that our family we sponsored this year was from my class. He has 2 brothers and a sister and they lost their father last year. During one of our writing activities, he wrote about his plans to visit the cemetery with his mom on Xmas. When the social worker visited their apartment, they had cot-like mattresses and virtually no furniture. I went out and bought each child a toy, Barbie, StarWars Legos and board games along with some comfy pajamas for each child. It warmed my heart to look at him yesterday and know "Santa" was going to visit him in a few days. The staff gave so many presents our social worker had to make 2 trips in her car! Every single year since he was big enough, my 13 yo son and I have shopped for toys to give to Toys for Tots. It's a sad thing to know that there are little (and big) kids hearing what all their friends are asking for, and already have, knowing they may not get anything...or at least anything 'fun'. Our family isn't rolling in it either, but I know we have enough to spare to make some child smile and feel loved. Yesterday we did a bang up job on the toy aisle and it felt so good!!! My favorite thing is that he never once asks for anything for himself during these outings. In fact, sometimes I have to remind him we aren't Donald Trump because he wants to get gaming systems, bikes, etc. and not that I don't wish we could, but we have to stay realistic! I truly love the feeling of giving and imparting it's importance on my son. 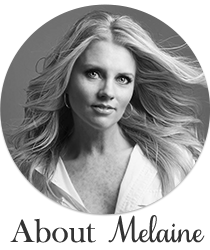 Thank you for your sweet story Melaine. If you want to read a real tear jerker go over to my friend Melissa's blog and read her post today on alittleloveliness.blogspot.com...be sure to have tissues on hand! Hope you and your family have a very blessed and merry Christmas! We have done the 12 days of Christmas to help a needy family in our area for several years. We find the families through our school system. It starts 12 days out from Christmas with the 12th day ending on Christmas Eve. The 1st day is 1 item (we have done a ham for their Christmas dinner), the 2nd day might be 2 gallons of milk, etc., 3rd day with 3 different toppings of goodies for icecream, we include the icecream too. The 9th day might be 9 new Christmas ornaments. It continues each day till the 12th. We go secretly in the evening and ring the doorbell - then run. My kids have LOVED participating in this. We do it with a few other families so it does not become an overwhelming gift for everyone. WE NEVER Reveal who we are as it is not about ourselves but about helping and giving back to others. The 12th day is special as we give them 12 different presents that are all wrapped up for the family (including the parents). I love sitting in the car and then driving by later and maybe getting a peek at them in the window looking at their surprise for the evening. It feels so good! I have a friend who keeps a small box in her car. The box is filled with plastic zip lock bags, each containing a pair of socks, some granola bars, candy, a space blanket, a bottle of water and a toothbrush. When she is driving and comes up to a stoplight where homeless people are standing with their signs she reaches into her box, and passes each person one of her small gifts, and wishes them "Merry Christmas". Then she just drives on. She doesn't even have to get out of her car. I was so impressed to see her do this when I was riding with her in the car one day. It doesn't take much to spread a bit of cheer around! I am going to do the same thing next year! I put a gift certificate to Honeybaked into the box of a co-worker. Her husband works for NASA and will more than likely be out of a job by January. I also took an Italian police pillowcase (sounds crazy!) to a woman who just lost her dad. They are Italian and he served in the Italian police force- she loved the pillowcase : o ) It's the little things! It's important to keep Christmas in our hearts all year round. I emailed you. What a lovely Christmas story! You are so kind. A really good friend of mine had a similar situation where she was giving a neighborhood boy a ride home from school when she asked the same thing. He told her something similar. She sent private messages to many of her friends and family giving them the opportunity to contribute. It was the most amazing turn out. Some one donated a tree which my friend and her husband put on their doorstep, rang the doorbell and ran. They had no idea who it came from. She also had an overwhelming response from people wanting to donate. By the time it was all said and done there was several toys, games, books and clothes for all 4 children. Plenty of gift cards to grocery stores and an entire Christmas dinner. She has wrapped it all and is placing it on their porch this evening. I can only imagine how blessed this family will feel. Wishing you a happy Christmas eve. You have a beautiful heart....Merry Christmas to your family.